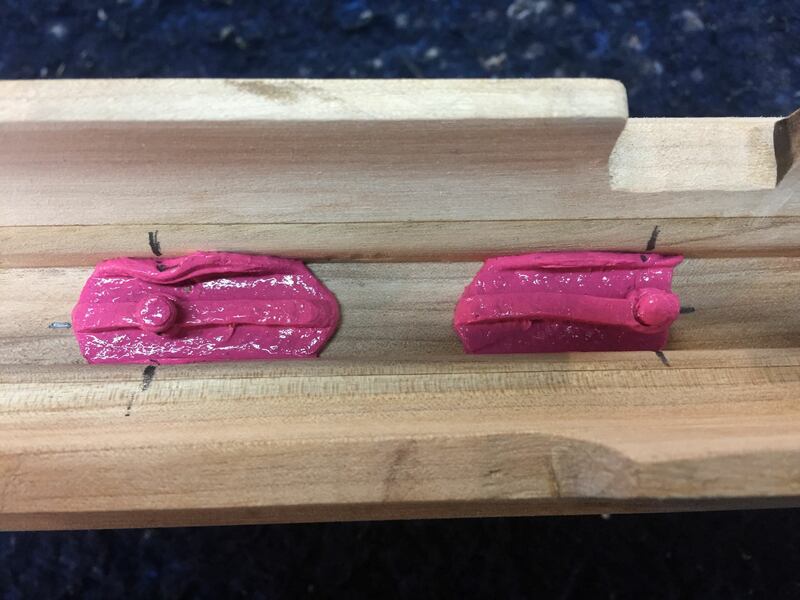 Good ole silly putty put in the stock then set the action down easy into the stock and transfer the mounting hole location in the action to the stock. 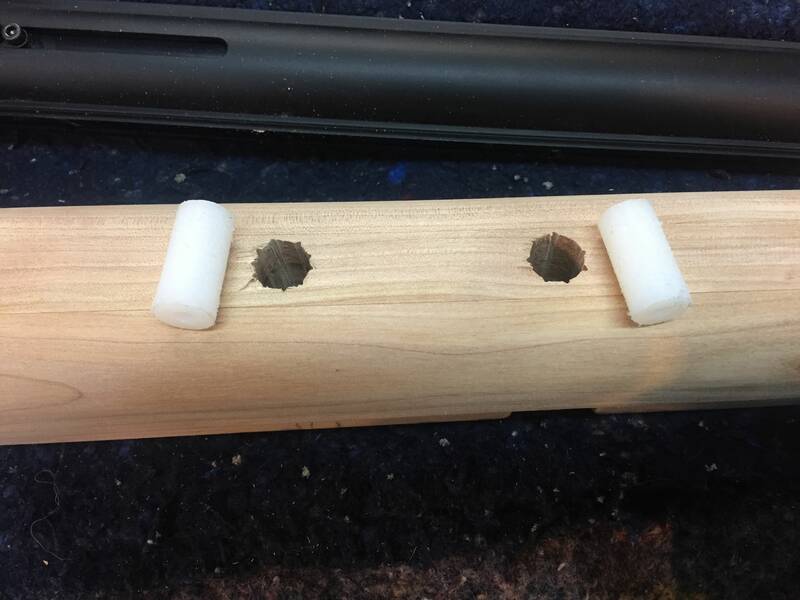 Drilled the holes and groove the holes and roughed up the nylon sleeve so the epoxy has some space to go into in the hole and something to grab onto on the sleeve. 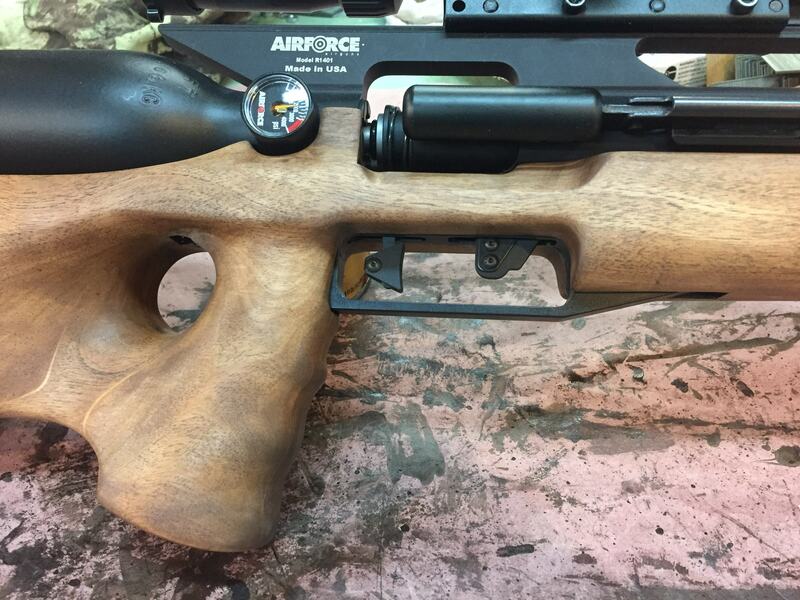 I am feeling very reluctant to drill the rear hole going up through the pistol grip. It is close to a 6" deep hole. 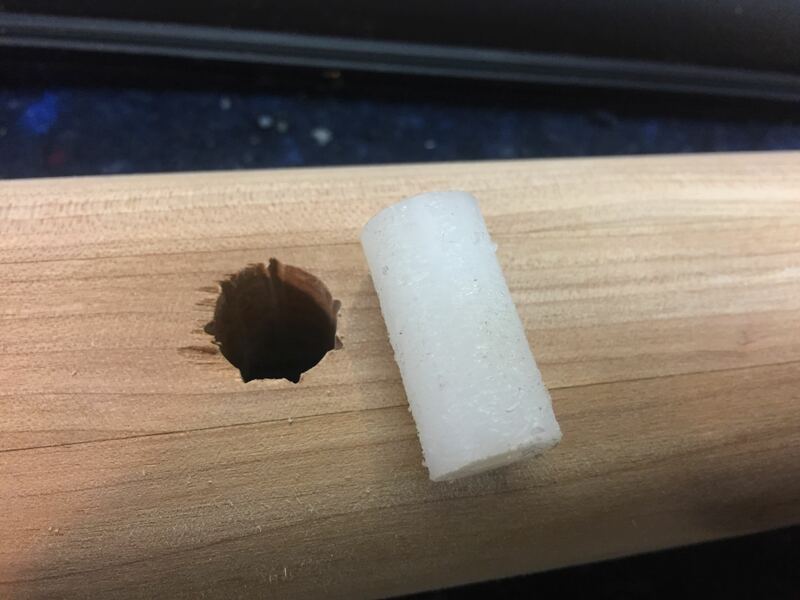 Yikes for getting that small drill to track straight through that hard wood. This reply was modified 4 months ago by Loren. Take it slow and steady and I can see where that could be a challenge especially getting it to line up with that barrel type nut in the frame. Nice job on the stock, would be a shame to scrap it after all that work. 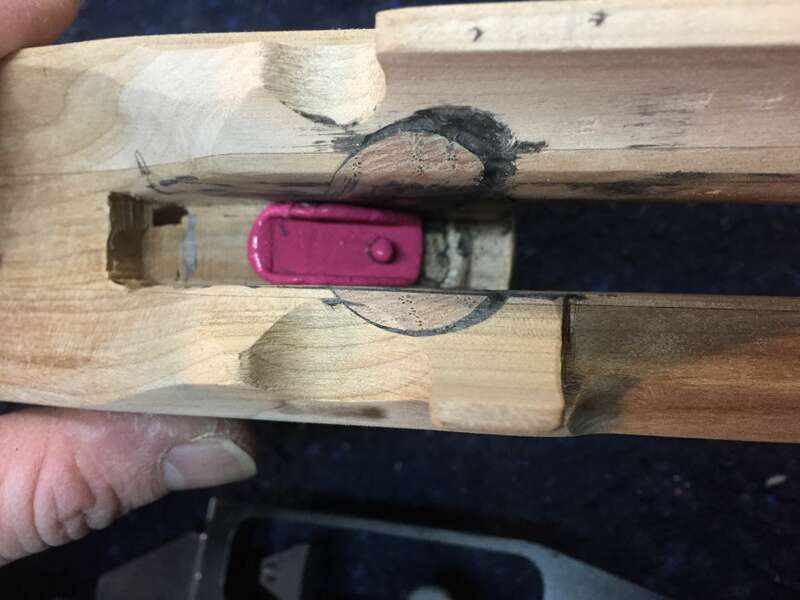 You might try workhing some epoxy into the crack with a thin blade, then pilot drill for a long wood screw and tighten her up. I will give that some thought. Getting the recoil pad sorted out. 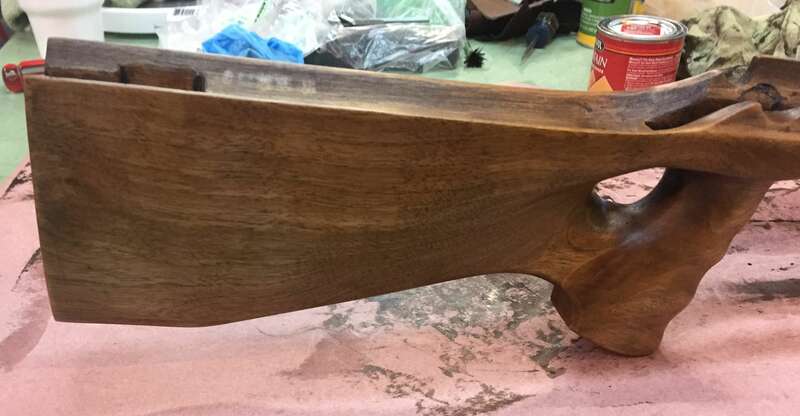 Did a lot of sanding today and put on the first coat of stain. I plan to do at least one more coat to get it darker. 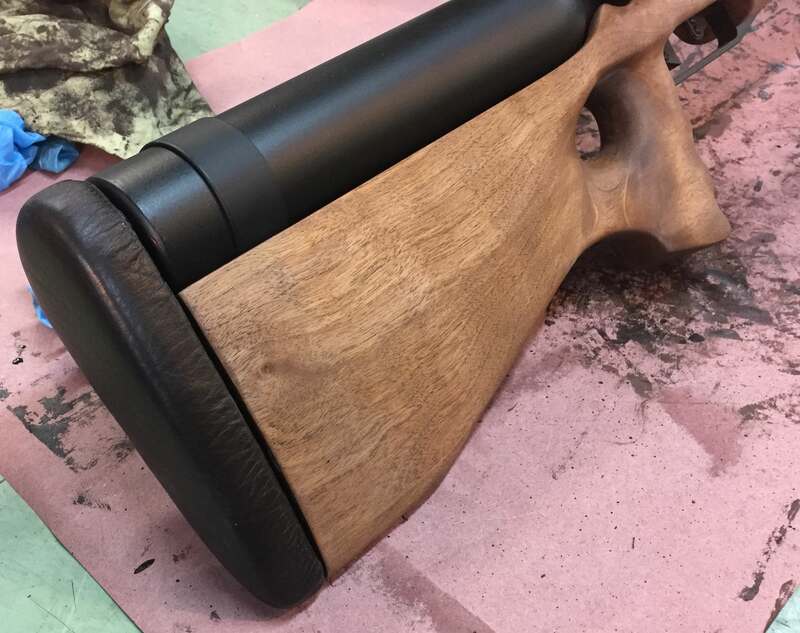 Nice, I think the way you redid the grip and going thumbhole is going to make a nice difference in strength. 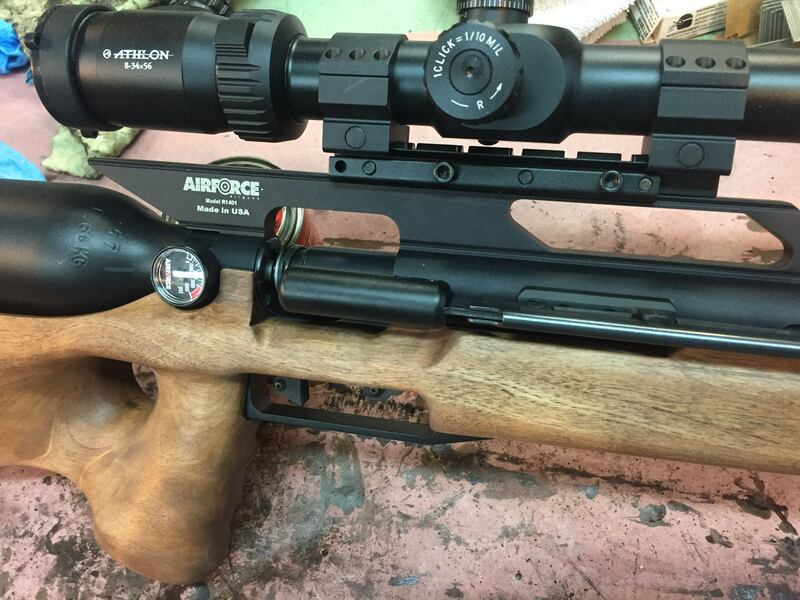 Need pic of action in the stock now. 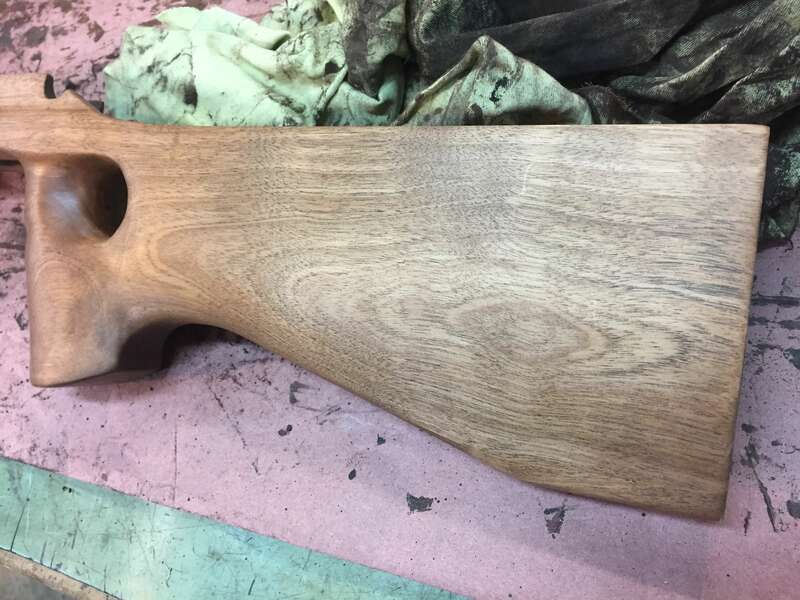 I haven’t done any woodworking since my heart attack and nerve surgery so I’ll attempt my 1st stock with pine and if all goes good i think I’ll redo it in a Maple. This reply was modified 4 months ago by Imold. Menards has some good prices on poplar. 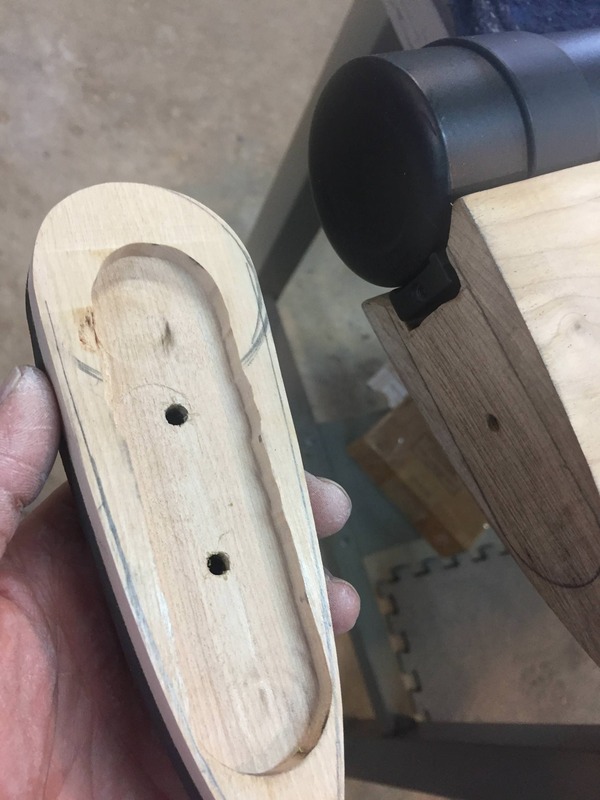 Will not cost much more than clear pine, and if you like what you create you are done. 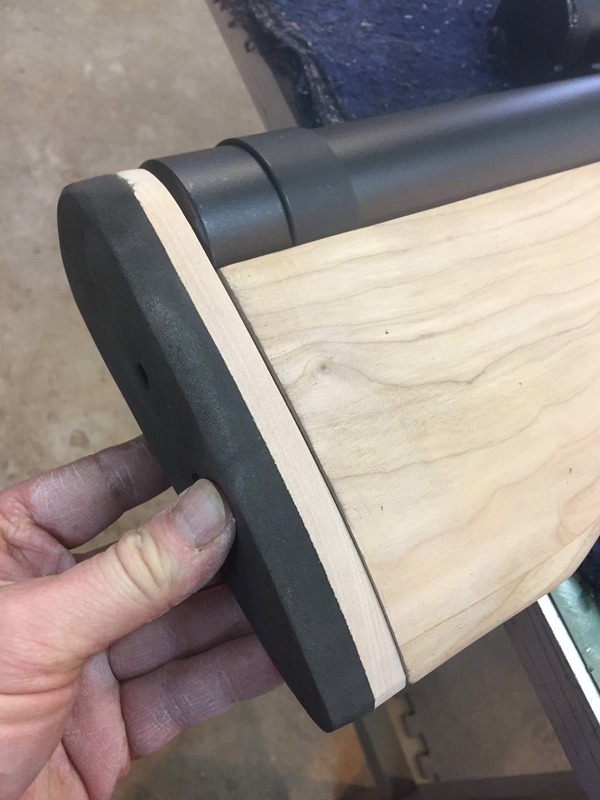 Now that you mention it I did see that they had poplar at like 23.00 for a 1-8x 10 footer, maybe get a 12 footer and cut it into 3 and glue them together. Since I got my Bulldog back together and it sounds like Troy will be gone a bit longer so my Kral won’t get here in the next week or so maybe I should start my project of luck and hope hahaha. Even if it is a week or so it’s going to be nice when all said and done. 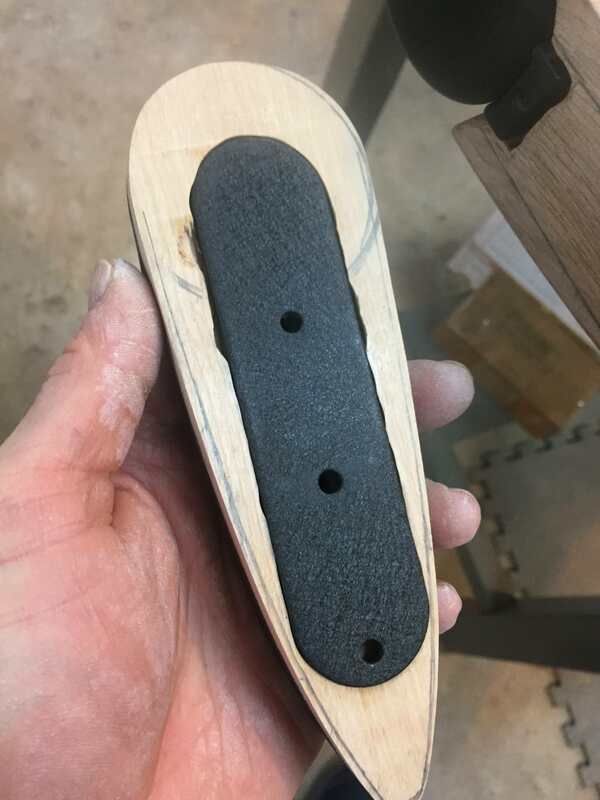 So Loren you used a 8” wide board not a 10” wide board, I haven’t done any measurements yet on length and height of boards yet, seems like 8” is pretty tight from bottom of grip to top of stock but like I said I haven’t measured the MadDog stock yet. 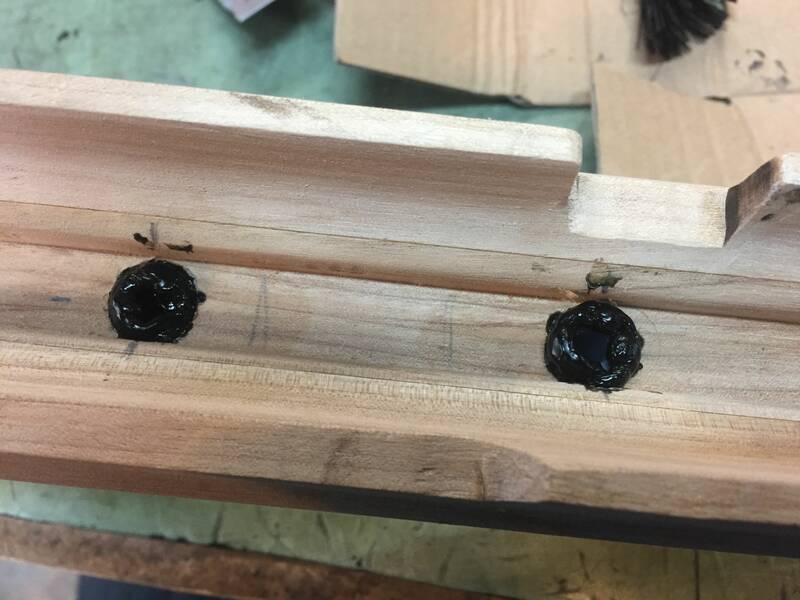 If you go 1 x 10 you can actually get two stock blanks out of the width by nesting them. Im getting a 1-10×12 and then I can do the two, son said he would get it for me tonight. Im getting a 1-10x12 and then I can do the two, son said he would get it for me tonight. Here is some more progress. 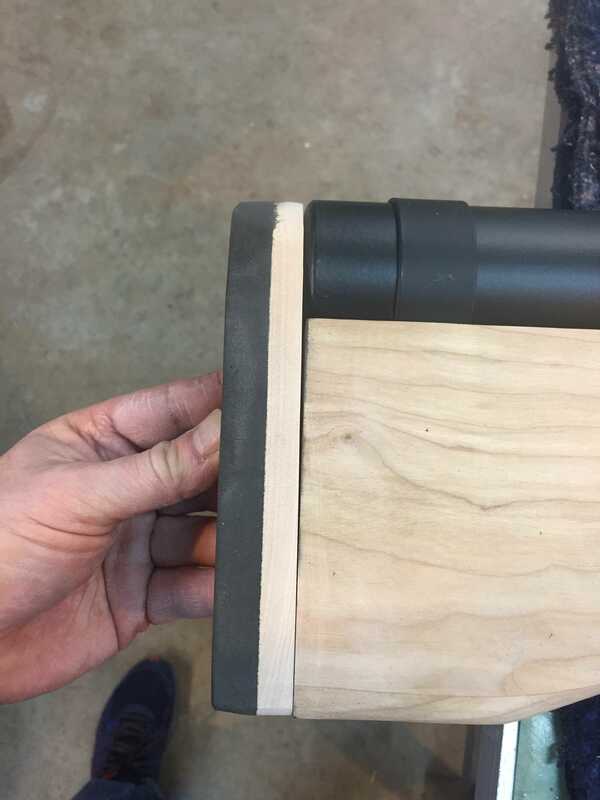 I went back over the stock with 220 grit (a lot), 320, then 400. 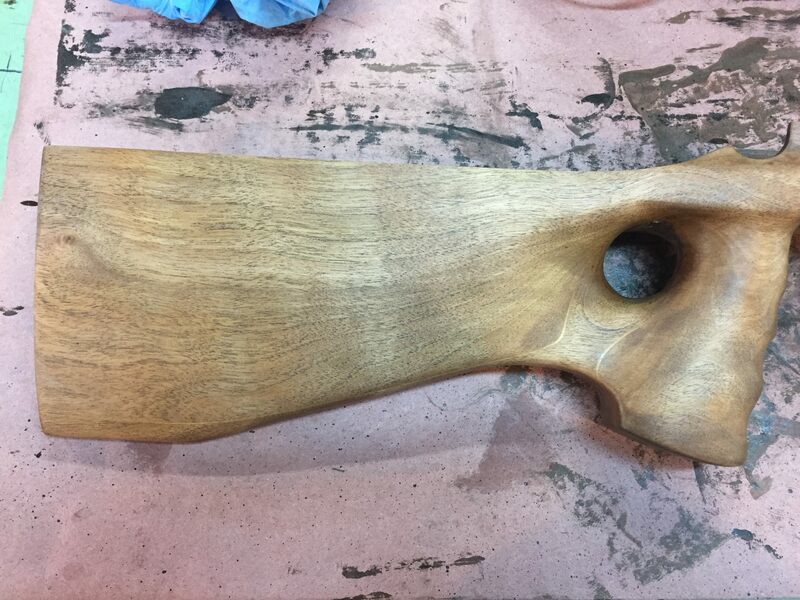 About out of elbow grease…lol This is after a fresh coat of stain. I will at least do one more coat to try and get a darker shade. You can see some faint tiger striping, more so on the left side. I hope some more stain and then oil will help bring that out some more. The recoil pad is just taped on right now for show. LMold, please do show your stock fab. Here is some more progress. 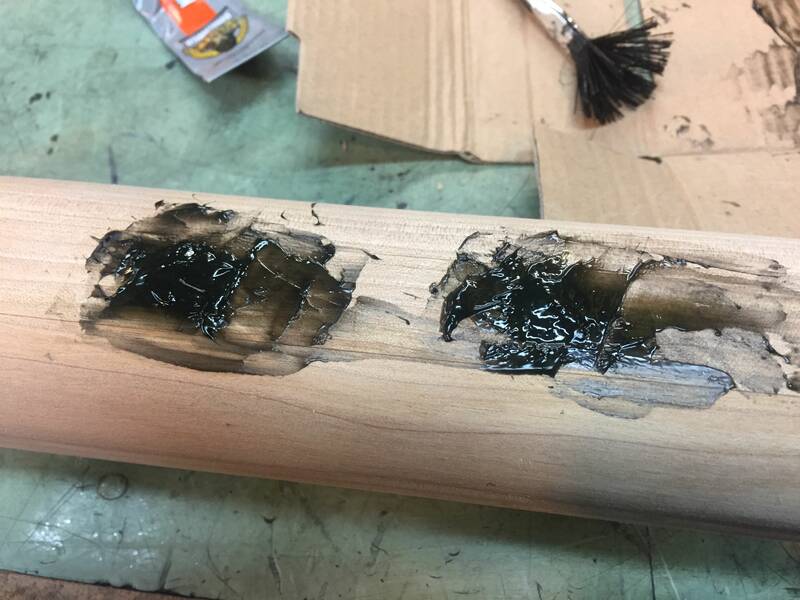 I went back over the stock with 220 grit (a lot), 320, then 400. About out of elbow grease...lol This is after a fresh coat of stain. I will at least do one more coat to try and get a darker shade. You can see some faint tiger striping, more so on the left side. I hope some more stain and then oil will help bring that out some more. Well done Loren well done, no way I can even come close to that. My son came home with a 1-8x4ft poplar and a 1-8x8ft poplar, guess I’ll start with one blank, oh and I learned a lesson tonight, always cover your wood glue up when done using it, don’t know if it was me or someone else here but I have a solid bottle of wood glue in my shop so it looks like I’ll be going to the hardware store tomorrow hahaha. lmold, did you get a design template created for your stock? No I haven’t Loren, I was going to have my wife pickup some big sheets of drawing paper so I can try to etch something out. I used poster board. A package of 10 sheets 22 x 28 from Wally World is like $3. Taped two sheets together to get the length I needed and the poster board is nice because it is stiff enough to help with layout work directly on the rifle and then transfering to the stock.